Wide plank hardwood flooring continues to lead the list of top trends and will probably continue to do so for a long time. Wide plank flooring is becoming the new normal in interior design and home upgrade options. Wide plank flooring creates a more upscale, luxurious look and there are many species to choose from to suit every taste. 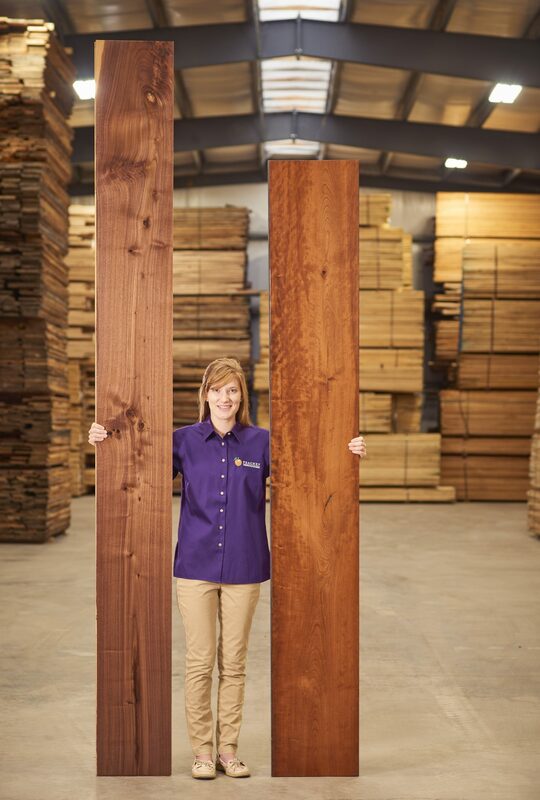 Custom manufacturers such as Peachey Hardwood Flooring can create unique wide plank flooring up to 16” wide and 12’ long. To achieve a more relaxed and casual feel, many homeowners are choosing to use different widths of flooring combined together to create a variable look to their floors. Common combinations are 3-4-5” or 6-7-8” width flooring in the same room. These mixed widths are also available in many species, color and distressing options. 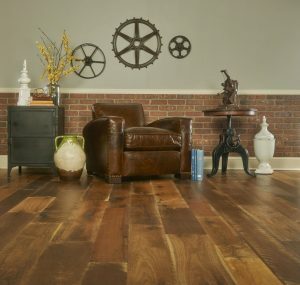 Vintage and rustic flooring has become very popular in all types of homes and décor. Reclaimed Oak and Heart Pine salvaged from old barns and buildings continues to capture the eye of many homeowners and creates a breathtaking floor. Reclaimed flooring also positively contributes to being green and eco-friendly by keeping old wood products out of landfills. Distressed hardwood floors have also become popular with the movement toward more rustic flooring and toward flooring that has an appealing texture. Distressing options include: hand scraping to recreate the antique look of using a draw knife, wire brushing for subtle texturing and skip planed flooring that maintains the circle saw marks exactly the way that they came from the sawmill. Almost gone are the days of high gloss, shiny hardwood floors. Homeowners are now choosing lower gloss finishes that allow the natural beauty of the wood to show through and create a more natural looking floor. Lower gloss finishes also tend to show dirt and dust less than a higher gloss finish. Recent news articles on dangerous chemicals found in flooring made overseas has increased the desire for products that are “Made in the USA”. 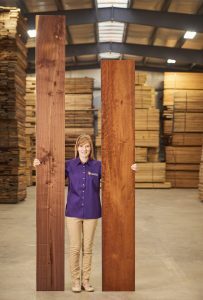 Efforts to stimulate the economy and keep jobs in the US have also added to the appeal, however the most important facts still remain – the United States is home to some of the finest hardwoods available in the World and some of the highest quality hardwood flooring available is also produced here. Contact the experts at Peachey Hardwood Flooring to learn more about these trends and to view for yourself The Beauty of Nature. Perfected.